Four major infrastructure proposals in the Wilmington area would require billions in investment into the region. But as the region continues to develop, officials say the projects have the potential to boost economic growth and fix transportation woes. These high-dollar projects – some more decided than others – include expansion at the Wilmington International Airport, developments at the Port of Wilmington, construction of a new crossing over the Cape Fear River and relocating miles of freight railroad lines in the area. But where are these projects headed, what do they mean for the region and what’s the price tag? Those involved in the projects provide some answers. What is it? Wilmington International Airport is gearing up for expansion now that $12 million in funding over the next two years is available to the airport from the state’s newly adopted budget. The expansion is a three-phase project aimed at new construction while providing upgrades to the existing terminal, originally built in 1989. The first phase of the project includes expanding ticket counter areas, TSA checkpoints, gate and bag areas, said ILM Airport Director Julie Wilsey. The second phase seeks to provide cosmetic and technological upgrades to existing gates. The last phase adds additional gate space and aircraft parking positions on the terminal and parking decks. Price tag: An estimate from 2015 put the project at $86 million. Phase 1 is estimated to cost $40 million. Even with the state money, airport officials are working on tracking down the rest of the necessary funding. What’s happening now? As of press time, airport officials were expecting the FAA’s review of an environmental assessment for the project. If the assessment renders no impact, airport officials can begin seeking a design for phase 1. Potential impacts: The year 2016 was a record-setting year for the airport, with more than 817,000 passengers served. This year is continuing that trend. Wilsey said the project would provide needed infrastructure to improve passenger traffic and meet market demands. The expansion also has the potential to provide space for more service carriers and jobs for the area. Timeline: Design would take about a year to complete, Wilsey said. Time is also needed for the airport to seek additional funding for the project. First-phase construction could begin in late 2018 or early 2019. No timeline has been set for the completion of all three phases. What is it? Several improvements are being made to the Port of Wilmington’s infrastructure to service larger vessels and expand its business. 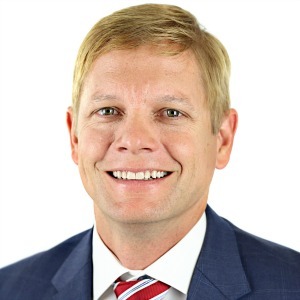 The port’s capital improvements include a turning basin expansion, berth improvements, ordering two New Panamax cranes and expansion of its container yard, said Cliff Pyron spokesman for N.C. Ports. Price tag: Over the next few years, N.C. Ports is investing $150 million in overall capital improvements, which started with the turning basin project last year. What’s happening now? The Port of Wilmington’s turning basin expansion project was completed in July 2016. The port has since ordered the two cranes, Pyron said. Construction of the port’s Berth 8 replacement project is currently ongoing. “N.C. Ports has laid out an aggressive five-year strategic plan to double its containers business and expand business of its general terminals by 4 million tons,” Pyron said. Potential impacts: Officials attribute the turning basin expansion and other additions to the activation of four new container services at the port in 2017. When complete, its Berth 8 and New Panamax cranes will give the port the capability to operate two post-Panamax vessels at the same time. “The expansion at the Port of Wilmington enables shippers to gain unprecedented access to the U.S. East Coast,” N.C. State Ports Authority Board Chairman Tom Adams has said previously. The investments into the port will ensure the port’s future sustainability, said Paul Cozza, N.C. State Ports Authority’s executive director. “Our high vessel and terminal productivity will be enhanced with these additions, thus keeping vessels on schedule and reducing inventory and logistics costs,” he said. Timeline: The port expects to be operating at Berth 8 by early 2018. No funding or timeline has been set for the Port of Wilmington’s container yard expansion, Pyron said. 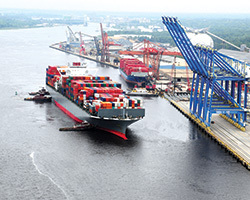 In addition to the ongoing improvements, he said, the Port of Wilmington expects to connect to the Queen City Express, an intermodal rail service between the port and CSX’s terminal in Charlotte, later this month. What is it? The N.C. Department of Transportation is studying 12 possible routes for a new crossing over the Cape Fear River. 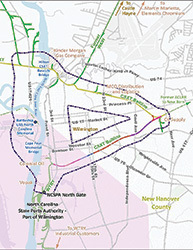 Under the Cape Fear Crossing study, the NCDOT is looking at two alternatives that upgrade the existing U.S. 17 roadway, four alternatives for a new location and six hybrid locations that require upgrades to existing infrastructure and a new bridge location to relieve congestion on the Cape Fear Memorial and Isabel Holmes bridges. Price tag: The current total is estimated at $1.15 billion. Though transportation officials have invested millions in studying this idea and its predecessor proposal, the Skyway project, as of now, no funding has been identified for actual construction costs. What’s happening now? Efforts currently focus on reducing the number of alternatives in the study. 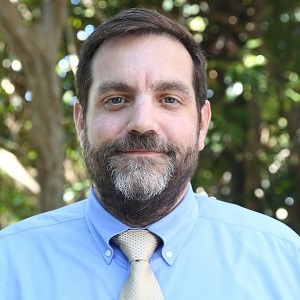 Other focuses include conducting noise studies, preparing right-of-way estimates and air quality reports and finalizing a draft environmental impact statement, said Jay McInnis, project engineer with the NCDOT. Engineers are also revising designs for southern routes near the Port of Wilmington. Port officials recently requested a bridge height clearance requirement for any southern alignment at 215 feet to accommodate larger ships. McInnis said current designs for those routes have a bridge height of 187 feet. NCDOT is investigating the impacts of raising the bridge height, McInnis said. 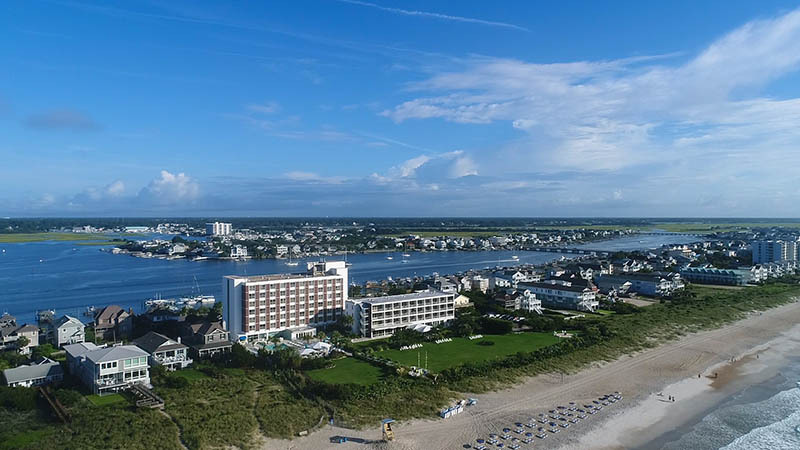 Potential impacts: The Cape Fear Crossing proposal seeks to improve traffic flow between Brunswick and New Hanover counties, reducing delays and enhancing freight movements to and from the Port of Wilmington. If built, the crossing could also provide quicker access to area residents in the event of a mass evacuation. Timeline: The NCDOT is scheduled to complete its draft environmental impact statement this fall with the final report completed in late 2018 or early 2019. A decision on the final alternative is scheduled for mid-2019. No timeline is set for construction since there is no funding at this time. What is it? Wilmington officials are eyeing the relocation of about 9 miles of freight rail that wind in a V pattern through the heart of the city from CSX’s Davis Yard in Navassa to the Port of Wilmington, according to Laura Padgett, chair of the Mayor’s Taskforce on Rail Realignment. The massive project is a two-part endeavor that seeks to move the existing freight rail pattern to a potentially new rail line just across the Cape Fear River and transform track within the city into public use, possibly for parks, trials and a trolley system, Padgett said. Price tag: A estimate for the project is projected at $752 million, but no funding source has yet been identified. What’s happening now? An initial 10-month feasibility study for the project has been completed (project area and existing rail lines shown in the map above). 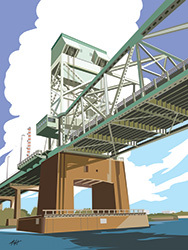 The study provided three recommended alternatives for a new rail corridor across the river between north of Wilmington and the Port of Wilmington, with two movable bridges. “It can be built … We can engineer it, and environmentally there are no barriers that are significant enough to keep us from building it,” Padgett said. Funding, future studies and further conversations about the project are needed, she said. Members of the Wilmington City Council are set to discuss and consider the feasibility study at their July 18 meeting. If council accepts the study, Padgett said, the task force could begin finding partners in the region to move the idea forward, the most critical being CSX, which owns the rail. Potential impacts: With the city’s growing population and increased activity at the port, relocating rail lines outside the city would provide freight trains more direct access to the port while reducing train crossings on city roadways. Padgett said the current track crosses public roadways 32 times, impeding truck and vehicular traffic as trains creep across the city. 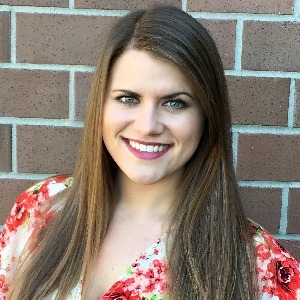 Moving the rail pattern outside the city would improve the flow of traffic and safety, she said, adding that a more direct route to the port also could improve regional commerce. Timeline: Alternatives analysis and project planning could move forward this year and next year. Beyond that, Padgett said, more time is needed to fully develop a project timeline.